“I really can’t stay (Baby it’s cold outside).” Christmas is nearly a month away and excitement is in the air. One of the biggest events in the GTA has opened its doors to welcome everyone who has been bitten by the Christmas bug! 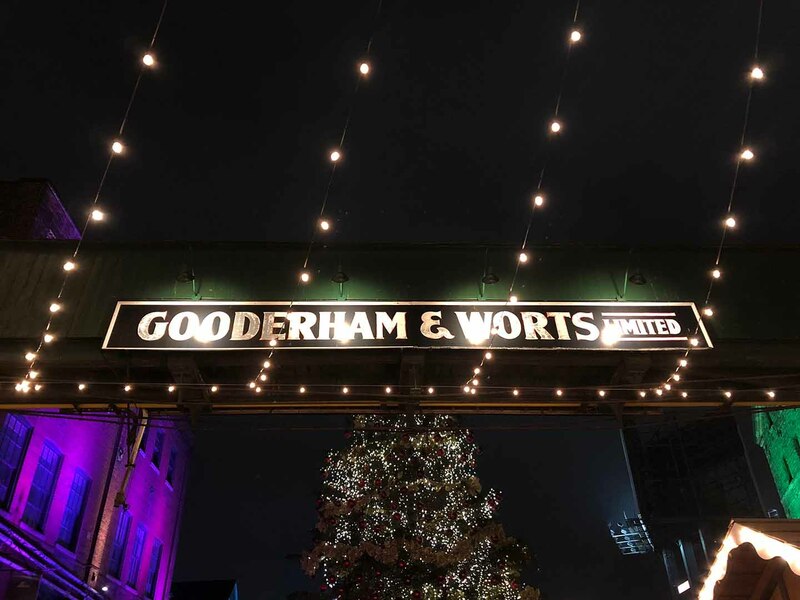 The Toronto Christmas Market, located in the historic Distillery District, is up and running until Dec. 23. Twinkling lights, Santa displays, and Christmas trees are set up all around the market. Numerous vendors in European-style cabins have lined up the sidewalks, each selling different trinkets such as ornaments, souvenirs, skincare products, and hot drinks — including an assortment of alcoholic Christmas libations. Aside from the large number of items available for purchase, the Christmas Market also offers plenty of great photo opportunities that will allow you to snap the most visually stimulating pictures for your Instagram. We all know that the true meaning of Christmas is about giving and creating memories with the ones you love. The Toronto Christmas Market keeps this spirit alive by supporting numerous charities such as Daily Bread Food Bank, Plan International, and the Santa Claus Fund. If you are in the Christmas spirit, you will definitely want to take a much deserved study break — it’ll be worth it.